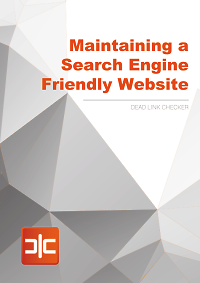 dead link checker - blog: How sharp is your deadlink checking tool? A web page is a complicated thing - there is far more to it than text, pictures, and links to new pages - there are many ways that elements within the HTML can refer to other resources. For example, an image might be displayed using an <img> element, with the image's URL specified by the 'src' attribute. However it could also be displayed by setting the 'background-image' property of an element's CSS style, and this could be done directly in the element’s HTML definition, or in an inline <style> element, or an external CSS file. For another example, a section of inserted text can be marked with the <ins> HTML markup, which has the option to link to another page using the 'cite' attribute. So, it might not be the most interesting of jobs but a thorough check for dead or broken links is an important part of maintaining a clean and healthy website. There are plenty of tools available to help with the process; some form part of a suite, others run independently, some have to be downloaded – they might be on a paid subscription or free of charge – most people have a favourite that they’ll use without question …and there’s the rub. One of the most important factors that’s probably never considered is this; does your broken link checking tool actually check every link? And how can you be certain that it’s reporting accurately? You can verify your link checker of choice by running it over a benchmark test website, which is known to have examples of errors in obscure linking methods, to see how many of them are picked up and how many are missed. 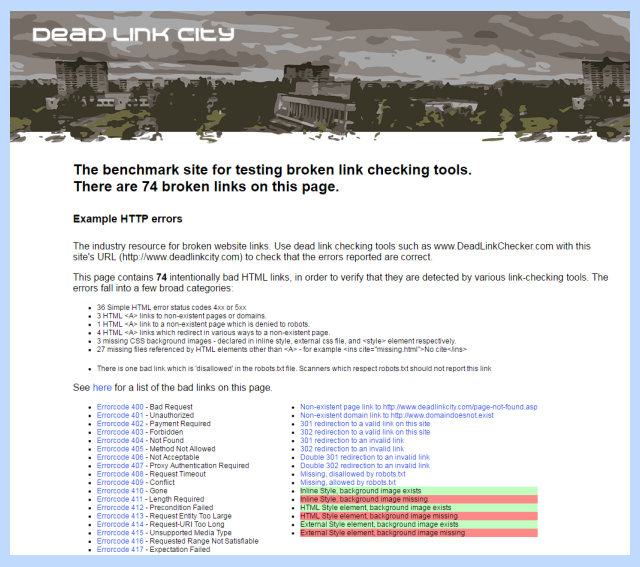 DeadLinkCity.com has been developed specifically for this purpose - a benchmark by which dead link checkers can be tested for accuracy. 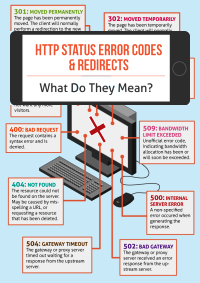 The website contains faulty examples of every method that an HTML page can use to link to another, with 74 bad links on the website and one further broken link that might be detected if the tool does not obey the directives in robots.txt file. Therefore, when an accurate tool is crawled over the site, it will return 74 relevant error messages. If you don’t try it you’ll never know, so have a go. Run your favourite SEO tool over DeadLinkCity.com and see what happens. If it finds all 74 errors, then you can be pretty confident that it will do a thorough scan of the sites you’re maintaining. If it finds fewer than 74, it would be worthwhile noting which links have not been discovered, so that you know which parts of your site might not have been checked adequately. It would also be worth getting a new tool that is thorough and accurate, so your site is optimised properly. 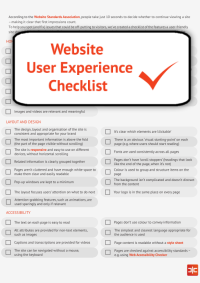 For other ways to improve usability, read Dead Link Checker’s Website User Experience Checklist to ensure your website is as user friendly as possible.